Anjie Cho is an architect, feng shui educator and author of Holistic Spaces: 108 Ways to Create a Mindful and Peaceful Home. Since 1999, she has been designing beautiful and nourishing spaces (inner and outer) with balance and harmony, informed by the ancient practice of feng shui. Her focus is to create nurturing and supportive environments, tailoring her practice to each individual’s specific needs. Anjie is a sought-after expert in the fields of feng shui and interior architecture. 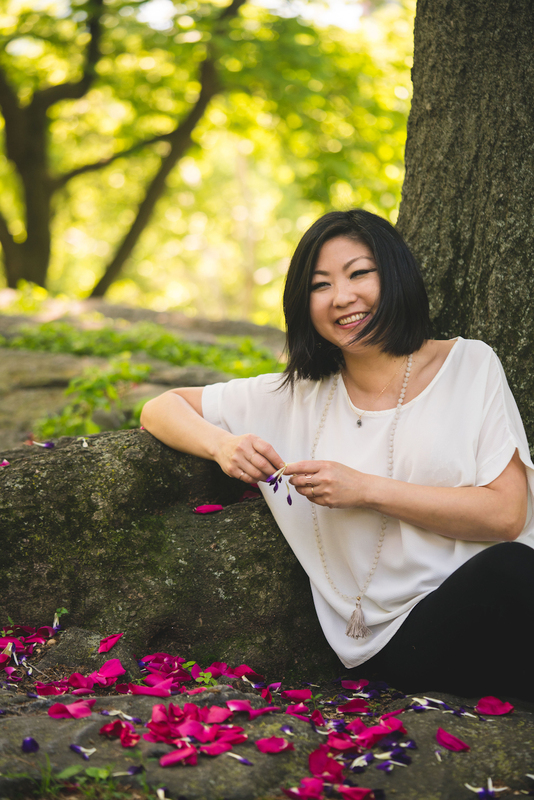 She is the owner of Anjie Cho Architect, co-founder of the Mindful Design Feng Shui School, and founder of Holistic Spaces which hosts a blog, podcast and online store. Anjie is also an assistant teacher of dharma arts and meditation in the Shambhala Buddhist lineage. She's a regular blog contributor to MindBodyGreen and has been featured in dozens of publications including: the New York Times, Domino Magazine and BuzzFeed. Anjie is a New York State registered architect, a graduate in Architecture from the College of Environmental Design at the University of California at Berkeley, LEED Accredited Professional, and certified feng shui consultant from the BTB Feng Shui Masters Training Program.